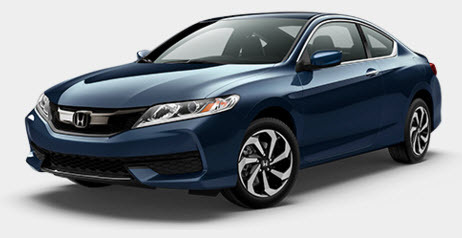 Shopping at local used car dealerships in Tacoma for the latest Honda Accord models? You’ve come to the right place. At Olympia Automall we present new and certified pre-owned 2016 Honda Accord Coupe 2-Door V6 Auto Touring cars to the market. This particular car certainly doesn’t fail to disappoint and whether you are doing a new car search or a pre-owned car search, you won’t go wrong with this one. First and foremost, the Honda Accord is one for the guys, with its 3.5 liter V6 engine, 278 horsepower and its great sound. This model offers a smooth driving 6-speed manual transmission and also guarantees the driver a highway MPG of 35 and city MPG of 26 which is quite impressive for such a sporty coupe. If you want to learn more about the 2016 Honda Accord Coupe 2-Door Auto Touring, book a test drive with your local used car dealership in Tacoma. Honda has certainly done it this time with their 2016 Honda Accord Coupe Auto Touring and we recommend you find out more about this model if it’s caught your eye. Book a test drive or get in touch with us to make vehicle finance arrangements.